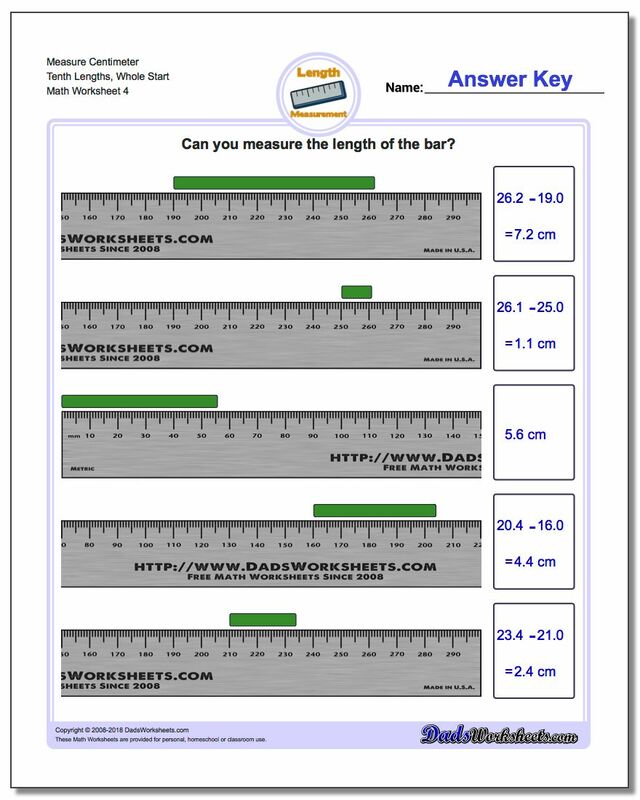 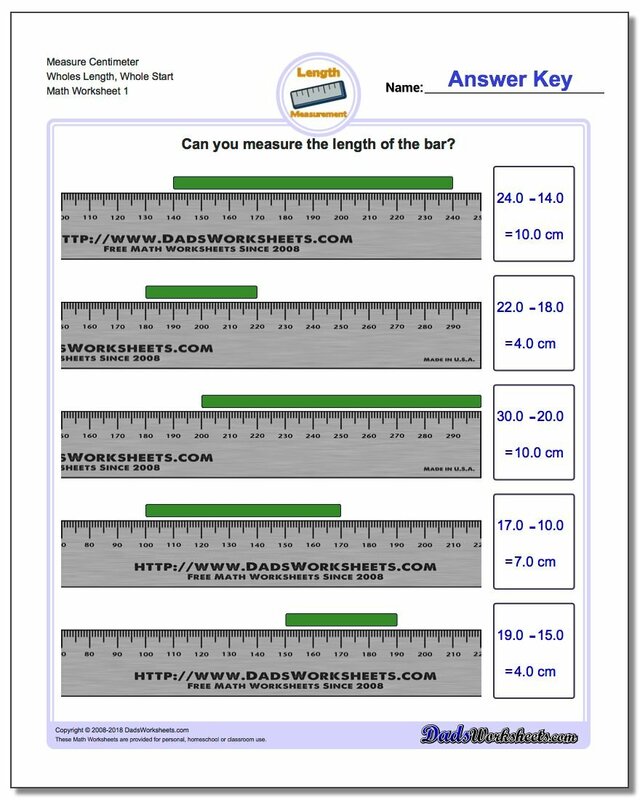 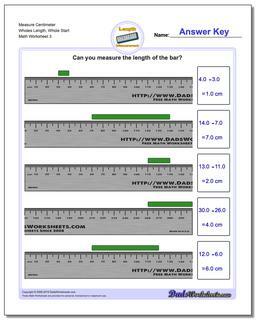 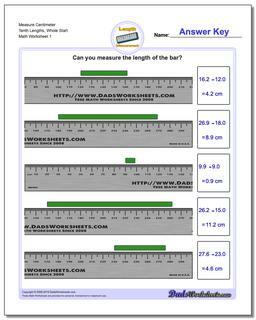 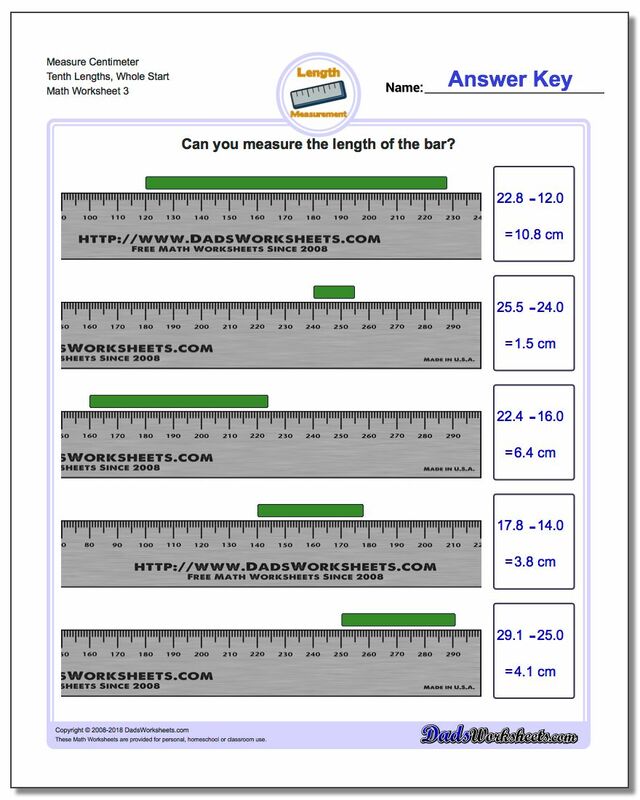 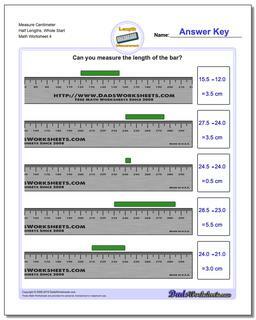 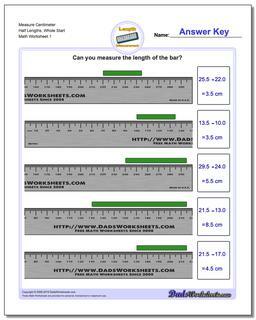 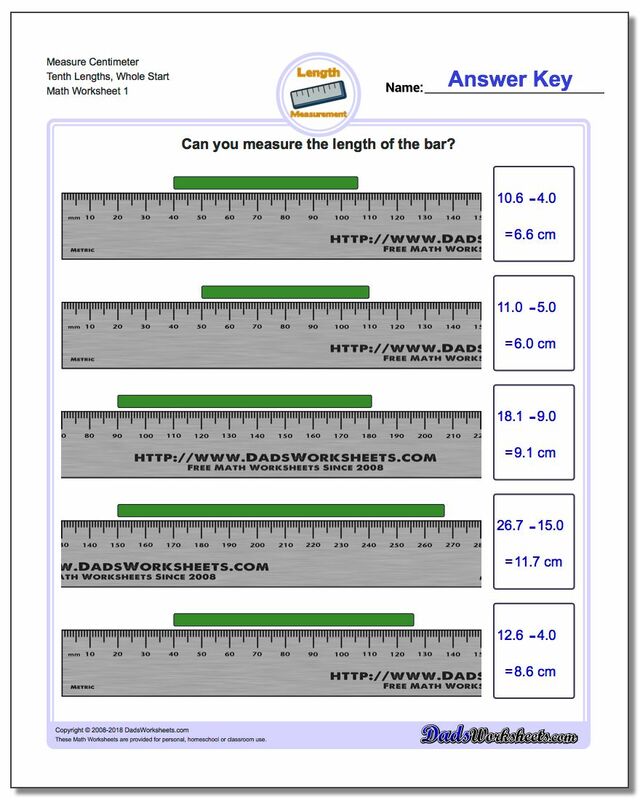 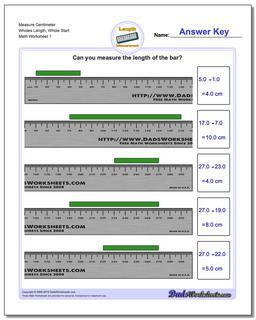 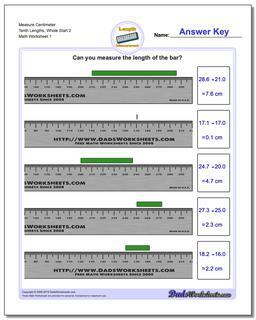 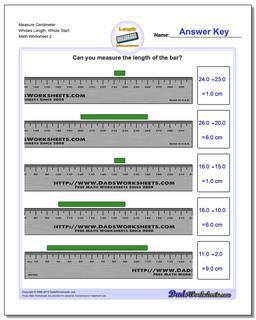 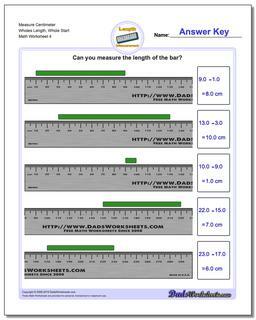 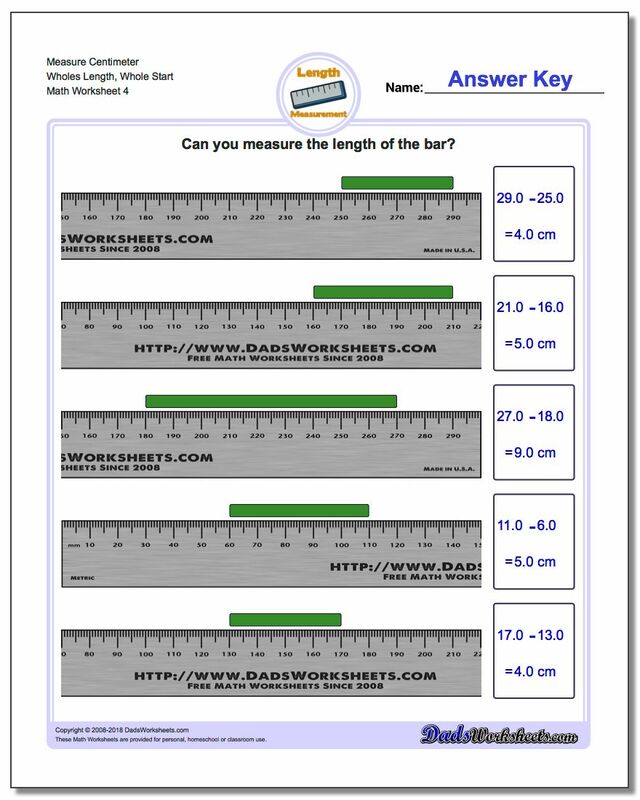 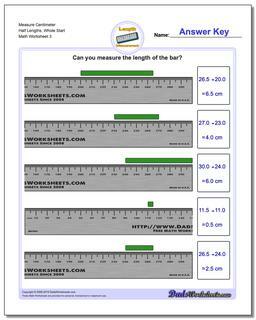 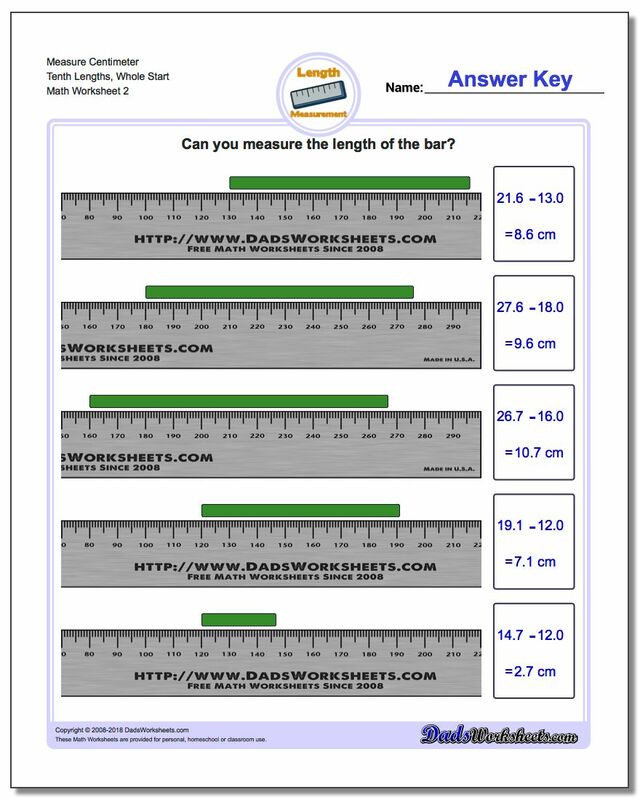 These worksheets all deal with measuring the relative length of an object in centimenters, and the offset is always a starting whole number of centimeters from the left edge of the ruler. 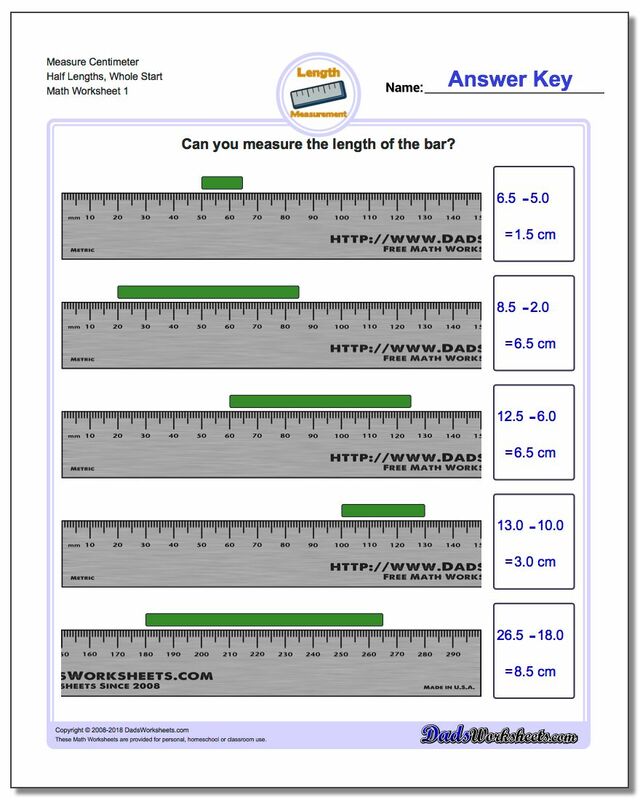 Students will find the total length of the object by looking at the ending measurement in centimeters and then subtracting the starting centimeter value. 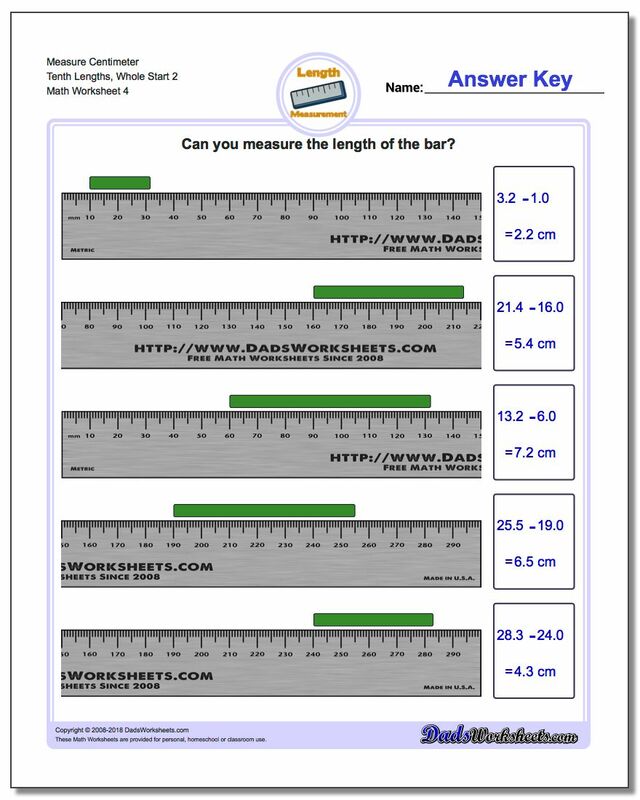 Because the starting offset is always a whole number of centimeters, computing this measurement is fairly straightforward but it will prepare students for solving more difficult problems with fractional centimeters (or millimeter) starting offsets in the next few sections of worksheets.